If you are thinking about grooming your Shih Tzu at home and would like to learn about what grooming tools you’ll need for the job then this article is for you. I’ll cover all the grooming supplies and equipment you’ll need and explain why they are necessary. Why Did I Start To Groom My Shih Tzu At Home? I used to spend quite a lot of money taking my Shih Tzu to a professional groomer but after looking into grooming him at home I decided to take the plunge and try it for myself. Of course, it does take an initial financial outlay but I would say within 6 months I had saved this amount of money a few times over. Another reason why I decided to start grooming my dog at home was due to him being a very anxious dog and trips to the dog parlor were always very stressful for him. Although he came away looking and smelling great, he never enjoyed it. 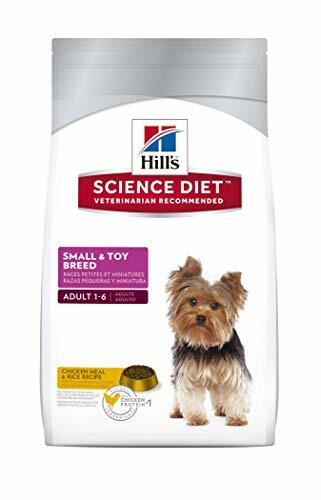 I hope in this article I can provide all the information you’ll need about what grooming tools and supplies you’ll require to start grooming your Shih Tzu at home. As well as providing information on the tools and why they are important I’ll also review some products I would recommend and provide links to where you can purchase them. I would also like to note that this article is specifically about the tools and supplies you’ll need to properly groom your dog. If you would like to know more about how to groom your Shih Tzu then please read my step-by-step guide – How To Groom A Shih Tzu At Home. Before I start to talk about what kind of brushes and combs you’ll need in your grooming supplies I think it’s important to have some understanding of what kind of coat they have. The Shih Tzu’s coat is known as a double coat which means it has an undercoat and an outer-coat. The outer-coat has longer hairs and their job is to remove any bits of unwanted debris that ends up in the coat and also helps to repel moisture. While the under-coat is comprised of soft, denser hair and helps to cool your dog when it’s hot and keep them warm when it’s cold. Due to this double-coat, it’s very important to regularly groom your Shih Tzu as neglect can lead to unwanted matting which can then lead to more serious health conditions for your dog. So what brush will you need? The most important brush you’ll need to properly groom your dog is a slicker brush. The main purpose of a slicker brush is to get rid of any debris that finds its way into your dog’s coat and to remove loose hairs. A slicker brush will have hundreds of metal pins that also help to remove mats and tangles. Another positive effect of a slicker brush is that it will help to distribute your dog’s natural oil over its body, helping to keep their skin and coat moisturized and healthy. One thing you need to bear in mind when brushing your dog with a slicker brush is brush burn. A Slicker brush will have hundreds or fine bristles and if pushed too hard on your dog’s skin can irritate and scratch the skin causing some discomfort and even pain. With cheaper brushes, the density of pins tends to be less and this can contribute towards scratching the skin so always look for the number of pins when purchasing a slicker brush. Before using a slicker brush on your dog for the first time, try it out on your arm first. Apply different amounts of pressure to get a sense of what would be suitable for your dog. It won’t take long before you have a good feel for using this kind of brush and you’ll be amazed by the results, they are very effective. Below I will recommend and review some good quality slicker brushes. I have provided a range of products with different prices and features so have a look and read the reviews to see what one would best suit your needs. Happy Dogz Pro Slicker Brush is a good option for those on a budget. 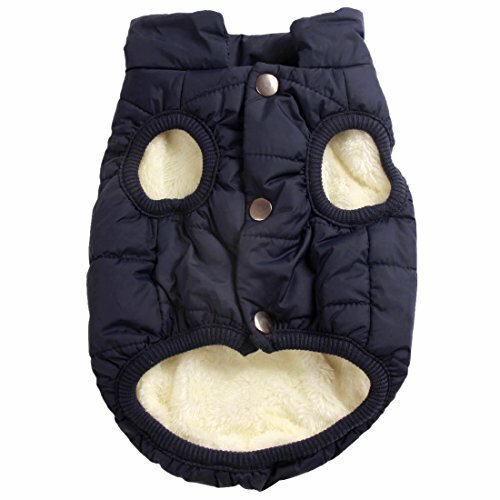 It has a comfortable, durable handle and is a good size for a small dog and is fine to use on both long and short coats. The bristles are designed to be firm enough to remove the debris and mats from your dog’s hair but gentle enough to not cause any damage. This product comes with a 100% money back guarantee and a free dog grooming ebook. It has a good 4.5 star rating on Amazon and you can read the reviews for yourself here. For a more professional brush, I would recommend the Chris Christiansen Long Pin Slick Brush. This brush is widely recognised as the go-to brush for professional dog groomers. It has longer bristles than other slicker brushes making it a good option if your Shih Tzu has a longer coat. This brush is quite expensive but you are paying for quality and will last you a very long time. This brush is specifically designed to be comfortable for both you and your dog. It has smooth, dense, bendable bristles allowing for a comfortable and thorough groom for your dog. This product has a 4.1 Star rating on Amazon and you can read the reviews for yourself here. If you regularly groom your Shih Tzu then you might not need to use this tool too often. But in my experience no matter how vigilant you are, your dog will always get some matted hair at some point, even if it’s just little patches on the belly or hidden under the legs. Before we talk about what a mat splitter is and review some products I would like to talk about why this tool is so important. If left unchecked matted dog hair can at the very least cause discomfort for your dog and in severe cases lead to very serious health problems. You should always brush out mats as soon as they appear in your dog’s coat. If left unchecked they will become thicker and thicker, and with time can lead to serious consequences. Matted hair in your dog’s coat will provide the ideal environment for bacteria, fleas, bugs and other unwanted debris and can lead to horrible infections and sores. And due to the appearance of a matted clump of hair, you might not even notice what damage is being caused underneath. In the most extreme cases, matted hair can cut off blood flow to the affected areas and reduce air circulation that can seriously affect the health of your dog’s skin. If your dog has extremely matted hair you should take them to your vet for professional advice. So what is a mat splitter? A mat splitter (also known as a mat breaker, dematting comb) is a grooming tool that has been specifically designed to cut through matted hair. It will have very sharp blades encased within a protective edge that do an excellent job at cutting through more advanced mats that can’t be removed with a slicker brush. Here is a good video explaining what a mat splitter is and how to use it. If you would like to learn more about brushing out matted hair then please read my article – How To Brush Out Matted Dog Hair. Below I will review a few mat splitters covering a range of prices and you can have a look at the different features, read through the reviews and see which one suits your needs best. If you have several dogs or have a dog that has heavy matting, I would look for a mat splitter that has a comfortable handle as sometimes this can require a lot of movement and strain on your wrist. I’ve chosen the GoPets dematting comb as my best choice for a few reasons. Firstly, it has a different number of teeth on each side meaning you can choose which density of blade best suits the mat you are trying to remove. The higher density side can be used for more dense mats and tangles and the lower density side as a simple detangler. 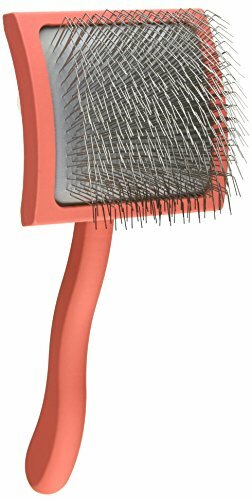 It has also been selected as Amazon #1 seller for the “dog comb” category. This comb has an excellent 4.5-Star rating on Amazon with nearly 2,500 reviews and they offer a full money back guarantee. You can read the reviews for yourself here. The Safari Dematting Comb is designed to easily remove mats and tangles from all types of coats. The comb is produced from stainless steel and has a comfortable grip for easy use. One of it’s best features are the changeable blades meaning you can use it either right or left-handed. This comb has been given the “Amazon Choice” award for the mat rake category and has an excellent 4.5 out of 5 star rating with almost 2,000 reviews. You can read the reviews for yourself here. 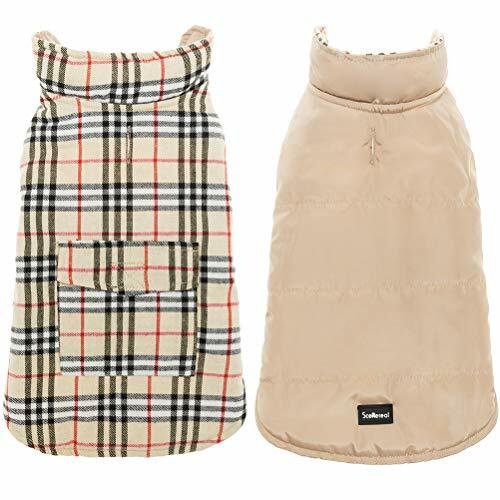 Suitable for all breeds and coat types. Dog grooming combs come in pretty much every size, shape and color you can think of. You can buy combs with metal, wood or plastic handles. You can buy fine combs with tightly spaced teeth or coarse combs with the teeth spaced further apart. You can even buy combs with rotating pins. So what comb do I need for my Shih Tzu? From the experience of grooming my Shih Tzu, I have found that after giving him a brush with either the slicker brush or the undercoat rake a simple steel comb is more than adequate to finish the job. These steel combs are referred to as “Greyhound Combs” and they come in a variety of colors, shapes and sizes. Some have uniform teeth and other have two different spaced sets of teeth. The teeth spaces will vary from comb to comb and will be described as being somewhere between a fine comb and a coarse comb. For example – medium coarse, fine, coarse, extra coarse etc. These combs are good for fluffy coats and good for removing dead hair and small mats. Some dog owners don’t worry about this type of comb but I think I get a different kind of finish to my dog’s coat using a steel comb after I’ve used the slicker brush. My best choice for a greyhound comb goes to the Andis 7 ½ inch Steel Comb. This is a simple but well-designed comb featuring both fine and coarse teeth. This comb is sturdy but light weighing only 2.4 ounces. It has an excellent 4.6 out of 5 star rating on Amazon with over 1,400 reviews. You can read the reviews for yourself here. This comb is simple, well-designed and good value for money. The unique feature of the Paws Pamper Grooming Comb is the tapered pins that are designed to smoothly glide through your dog’s coat and prevent scratching. The aluminium spine is also put through a special anodizing process making it resistant to rust. Although only a cosmetic feature, it’s also available in some nice colours. I think this is an excellent comb and this is reflected by its 5-Star Amazon review that you can read here. The iGroom Dual Tooth Comb is a good quality steel comb with teeth that has round edges. It has a dual tooth design meaning it’s great for thinning and detangling less dense knots. It’s made from high-quality, durable steel and comes with a nice bad and a free dog grooming ebook. This product has a good 4.2 star rating on Amazon and you can read the reviews for yourself here. Just as with human nails your dog’s claws will continuously grow and it’s important to keep them at an appropriate length and in good order. If they grow too long it can cause unwanted pressure on the toes and lead to strain on their legs. Extended nails are also likely to split and are more susceptible to infection. Therefore a pair of good nail trimmers are essential for your grooming tool kit. To check if your dog’s nails are too long simple listen for the ‘tip-tap’ sound when they are walking on hard surfaces. Also, when your dog is standing the nail should not touch the ground. How often you’ll need to cut your dog’s nails will depend on many factors – their age, breed, how often they walk on concrete and other factors. After cutting your dog’s nails a few times yourself, you’ll get an idea of how often this needs to be done. Guillotine Nail Clippers – These work by putting your dog’s nail into a hole and slicing the nail with a guillotine motion. These clippers are generally considered easier and more suited to smaller dogs. Scissor Clippers – As the name suggests these clippers are basically scissor-like clippers that a specially designed for dog’s claws. Electric Nail Grinder – These are small electronic tools that will slowly and gently grind down your dog’s nail rather than cutting it. These are good options for people that do not feel confident uses traditional clippers. Below I’ll review some of these nail clippers that would be suitable for a Shih Tzu. If you would like a more in-depth review on how to cut your dog’s nails and further recommendations please read my article – Best Nail Clippers For Small Dogs. 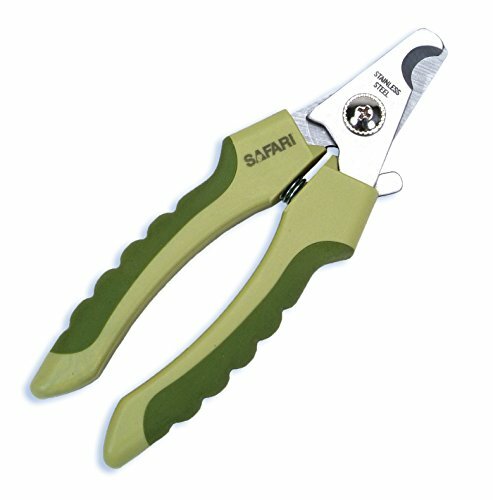 The Safari Professional Nail Trimmers is a good choice of nail clippers for a small dog. It is a plier type of clipper and comes with a safety stop to help prevent injury to your dog. It has a long lasting stainless steel cutting blade, a sturdy design and a comfortable grip. This product has been award the “Amazon Choice” award for dog nail clippers and has an excellent 4.6 out of 5 star rating from over 5,500 reviews that you can read for yourself here. These nail clippers get my best choice award due to the excellent reviews and value for money. The Resco Deluxe Clippers are my favourite choice for a guillotine style nail clipper. The Resco company invented the guillotine style clipper in 1937 and have been manufacturing them in the USA ever since. The best feature of these clippers for me are the replaceable blades. This is an excellent feature meaning you don’t have to buy a new pair of nail clippers when the blade starts to blunt. This clipper also comes with a deluxe grip for nice comfort and ease of use. These nail clippers have a 4.2 out of 5 star rating on Amazon and you can read the reviews here. If you prefer to use a guillotine style nail clipper then these are an excellent choice. And finally, I would like to recommend an electric nail grinder. The Hertzko Pet Nail Grinder has received the “Amazon Choice” award in the nail grinder for dog’s category and is a great inexpensive nail grinder to consider. There are 3 size openings that you can use depending on the size of your dog’s nail which is perfect for the smaller nail of a Shih Tzu. The grinder has been specially designed to produce low noise as not to cause any further anxiety for your dog. Another great feature is its portability – it’s lightweight and can be easily charged using a USB cable. The volume of the motor? As there is so much information to cover when it comes to deciding on what clippers to buy I would highly recommend you first read my article – Best Clippers For Grooming A Shih Tzu. You can also watch the short video below for a basic guideline of what to look for. If you have read the article above you’ll see that after doing a considerable amount of research on the pet clippers available, I decided that my best choice was the Wahl Professional Bravura Clippers and I’ll briefly review them below. This is a good choice for a cordless clipper. 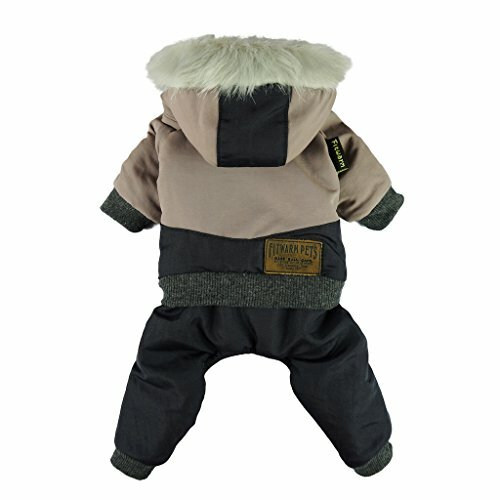 It’s lightweight and you’ll have no problem moving around your dog and reaching those awkward spots. 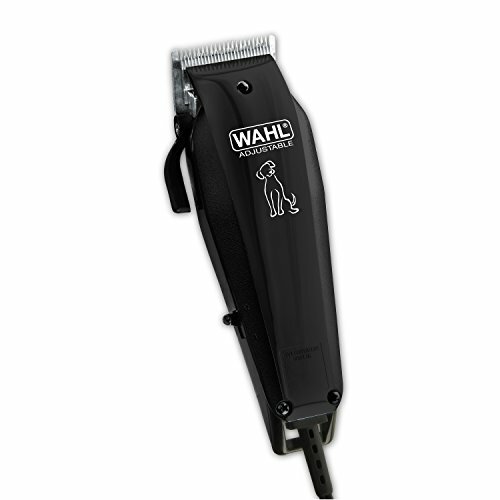 Wahl is a renowned manufacturer of hair clippers so you’ll know you are buying a quality product. It has a good lithium-ion battery which should give you around 90 minutes of cutting time which is pretty good for a cordless clipper. Another reason I like this product is that it isn’t too noisy. It has very low vibrations that are great for your Shih Tzu if they get anxious during grooming sessions. These clippers have a 4.2 out of 5 star rating on Amazon and you can read the reviews for yourself here. Getting the right shampoo & conditioner for your Shih Tzu is very important. Dog skin is not the same as human skin so you’ll need to purchase a good quality shampoo that is specially formulated for dogs. By understanding what shampoo and conditioner are best for your Shih Tzu and why, you’ll be able to protect them from any skin irritations and leave them feeling, looking and smelling great. Correct pH balance (to protect their skin). Harsh chemicals and other bad ingredients. One of the reasons for bathing your Shih Tzu is to remove some of the natural oils from their skin and coat. Your dog will secret these natural oils form their pores and they help to keep their skin and coat moisturized. But over time these oil will accumulate and eventually your dog will become greasy and smelly. How well these oils are removed will depend on the quality of the cleaning agent. Inferior, cheaper shampoos will have a lower concentration of the cleaning agent meaning the oils in your dog’s coat and skin will not be sufficiently washed away. This will leave your dog still feeling a bit greasy and not smelling too great even after they have been bathed. Put simply – quality products will have better ingredients and do the job better. Another important factor to consider is the pH balance of the bathing product. The pH scale is a scientific measurement of how acidic or alkaline a particular substance is with acidic substances having a lower number. Dog skin is not quite the same as human skin. Human skin has more outer layers so we can use a shampoo that has a more acidic formula (4.5 to 55.) But a dog will need a higher pH balance of between 6 and 7. If the shampoo is too acidic for your dog it can cause issues such as skin irritation, yeast infections and dry eye. Inferior shampoos can have a formula that is far too acidic for your dog’s skin. Poor quality dog shampoos can have a more acidic formula that can cause discomfort and pain for your dog. Please watch the short video below for more information. If you would like to read a more in-depth review of shampoos and conditioners for your Shih Tzu then please read my article – Shih Tzu Shampoo & Conditioner. Another issue with poor quality dog shampoos is that they wash too hard and overcleaning their coat can lead to damage. This is due to harsh chemicals and inferior cleaning agents being used in the ingredients and can leave your dog’s coat in a worse state than before you started. If your dog’s coat is “overwashed” it can lead to damaged cuticles and split ends as well removing too many of the natural oils your dog produces to help keep their skin healthy. In my opinion, you should look for a shampoo that has only natural ingredients and is chemical free. Not only will your dog benefit from this but you will also be helping wider environmental issues. You should keep an eye out for particular chemicals such as paraben, phthalate and phosphates. These 3 chemicals are much harder to remove from your their coat when you are rinsing and can lead to your dog itching and licking excessively after they have been bathed. This is turn can then lead to an upset stomach and a dull, lifeless coat. What Shampoo & Conditioner to Buy? Pro Pet Works Oatmeal Shampoo is made with 100% natural and organic ingredients and is soap free. It has the correct pH balance for your dog and is also suitable for dogs with sensitive skin and allergies. It contains no alcohol, no sulphates, no added colours and no harsh chemicals. It’s made with organic aloe vera and almond oil creating a cleansing and therapeutic formula. The packaging is 100% biodegradable and made with recyclable material. It is a non-toxic shampoo without paraben and is made from an animal cruelty-free process. This product has an excellent 4.7 out of 5 star rating on Amazon from over 1,300 reviews and you can read the reviews for yourself here. No alcohol, sulphates, added colours or harsh chemicals. 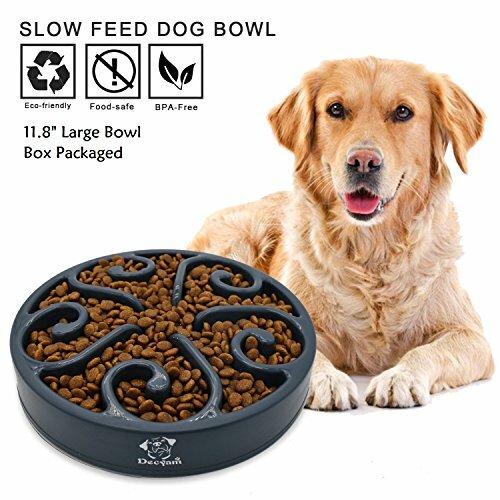 Suitable for dogs with allergies. Earthbath Shampoo and Earthbath Conditioner are made from 100% natural ingredients. It has no perfumes or synthetic dyes or any chemicals that damage either your dog or the environment. This is an excellent shampoo for a coat that is oily and will also improve the health of your dog’s skin. This shampoo can also help to heal areas of dry or damaged skin. It will also add moisture to your dog’s skin that helps to create a nice shiny coat. This shampoo also comes in different scents – vanilla, rosemary and mango. Their products are also all biodegradable. This Earthbath Shampoo has an excellent 4.4 out of 5 rating from over 2,500 reviews on Amazon. You can check out the reviews for yourself here. Sofee & Co Shampoo and Sofee & Co Conditioner are organic products and completely free of chemicals and unnatural colouring. Due to its ingredients, this is a gentle shampoo and is ok for weekly use. It’s also safe to use alongside flea and tick medications. All their products are cruelty-free and made with all natural ingredients making them both safe for your Shih Tzu and the environment. The shampoo has a PH balance of between 5 and 7 that is perfect for your dog. Sofee & Co dog shampoo also has an excellent 4.4 out of 5 star rating from over 2.500 reviews on Amazon. You can check out the reviews for yourself here. In this article, I have tried to give a good overview of what grooming tools and supplies you’ll need to start grooming your dog at home. I have several more articles on my blog that goes into more detail about each specific grooming tool you’ll need and I’ve put links in this article that should check out. You can also check out the grooming section of my blog for relevant articles. At first, it can seem like a huge investment to get all the tools necessary to groom your dog at home but as I mentioned in the introduction it wasn’t too long before I had saved this money by not having to go to a professional groomer. And you don’t have to buy all the products at once. Maybe start with a good brush, or get some quality shampoo. Then after a few weeks, you can move onto getting yourself a good pair of clippers. I hope this article has helped and as always I send health and happiness for you and dog 🙂 Elliott.